Why was Kentucky important in the Civil War? Perryville was a relatively large battle for its time in the Civil War. Federals numbered about 55,000 men (22,000 engaged) under US General Don Carlos Buell. Confederates fielded some 17,000 men under CSA General Braxton Bragg. We are fortunate to have an excellent video of this re-enacted battle*, with a Bonus Feature of Ed Bearss (pronounced “bars”), former Chief Historian of the National Park Service, describing this battle in great detail. If you’ve never seen Ed, come and enjoy this! He’s 94 now and only recently stopped leading battlefield tours. He’s a one of a kind historian whose passion has been to learn and tell anyone who’s interested incredible details of every battle fought in the US, as well as World War battles in which the US fought. Until very recently, he led many tours every year around those fields, and tour groups often had to jog to keep up with him. 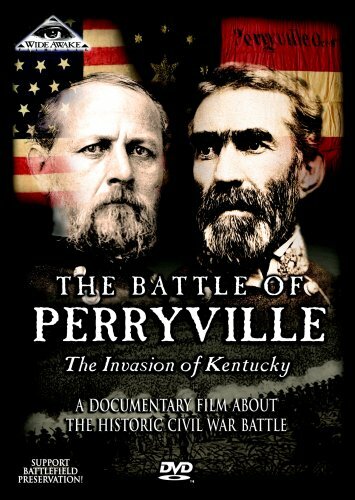 *The video, “Battle of Perryville, the Invasion of Kentucky”, is provided by Wide Awake Films, LLC. Walter Day is the Peninsula Civil War Roundtable Program Chairman. He has been a student of Civil War history since he was a teenager. He has visited most of the battlefields where his great grandfather’s unit, the Wilcox Brigade, 8th Alabama Infantry, CSA, fought. He is a retired Electrical Engineer and U.S. Naval officer. He has followed Ed Bearss around on tours of at least 8 Civil War battlefields, as well as the WWII Normandy battlefield. This entry was posted in Meeting archive on May 25, 2017 by hlj.